You can replace your possessions. You can even replace a house. But there’s no way you can replace a life. And it’s the lives of those closest to you that could be under threat if your property has an old, faulty or wrongly wired switchboard. Disaster can strike in two ways –through electrical fire or electric shock. 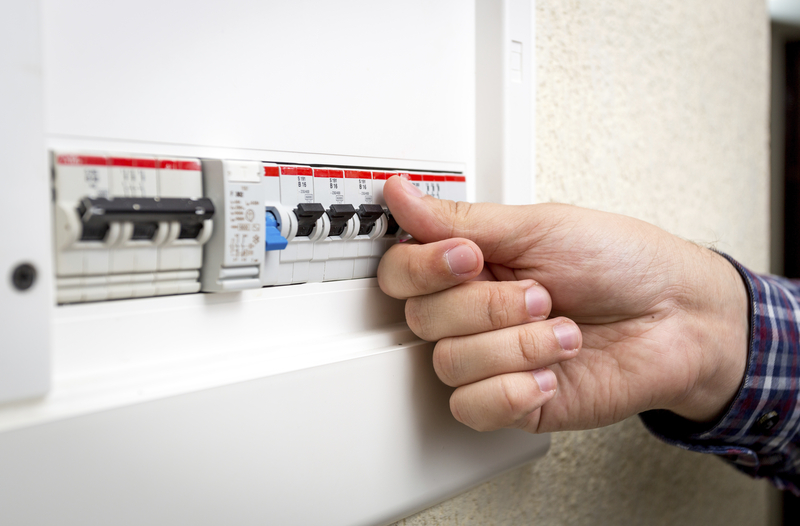 And while all new switchboard installations must legally contain safety switches, many very old or even fairly recent boards do not carry the safety features required to keep you and your family or workforce safe. Older style buildings and properties with rewireable fuses carry a much higher risk of electrical fire. This is why Captain Electric routinely undertakes assessment, upgrade and installation of new switchboards in homes and business premises locally and throughout Melbourne. What safety features does a contemporary switchboard have? Modern switchboards have circuit breakers, not fuses. In the event of an overload, you reset them by flicking a switch. With no exposed wires, the risk of fire and electric shock is drastically reduced. It literally breaks the circuit if excessive current flows through, protecting the cable from overheating and melting, and reducing the risk of electrical fire. It monitors electrical currents flowing through the circuits. If a leak from a faulty appliance or wiring is detected, the safety switch will automatically shut down the power to the circuit to protect against possible electrocution. It's useful to push the test button on your safety switch once in a while to make sure it's working properly. What are the symptoms of a faulty switchboard? Frequent tripping of your power is a sure sign of trouble. Older boards were designed to serve minimal household appliances, not the multiple ones we take for granted today. Flickering lights are another indicator. Often, however, you might not know until you experience an emergency.